After beating Bayern Munich 6-4 on aggregate in the quarter-finals, thanks in part to controversial refereeing decisions and a hat-trick from Ronaldo in the second leg, Zinedine Zidane's men were paired with their neighbours, who knocked out Leicester City. 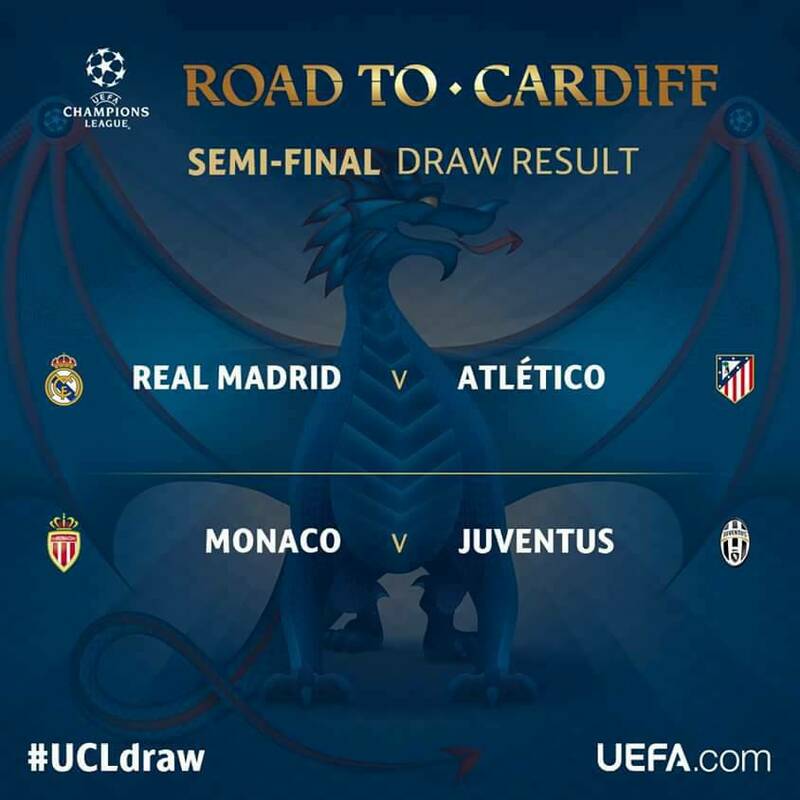 It is the fourth season in a row in which the sides from the Spanish capital have met in the knockout rounds of the competition, with Real getting the better of them each time. The first leg will be played at the Bernabeu, while the return tie will mark the last time the Vicente Calderon will host a Madrid derby before Atleti move into their new stadium next season. 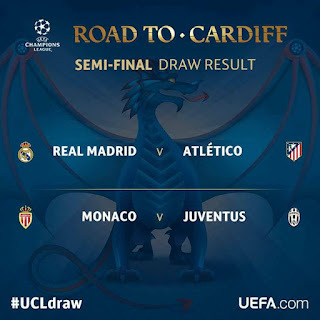 Juventus, who last won the Champions League in 1996, defeated Monaco in the last eight of the 2014-15 competition en route to their final defeat at the hands of Barcelona.